Elite: Dangerous (game, 2014). A space flight simulation video game by Frontier Developments PLC/Frontier Developments Ltd. Developed by Frontier Developments PLC, Frontier Developments Ltd. Official Trailer. 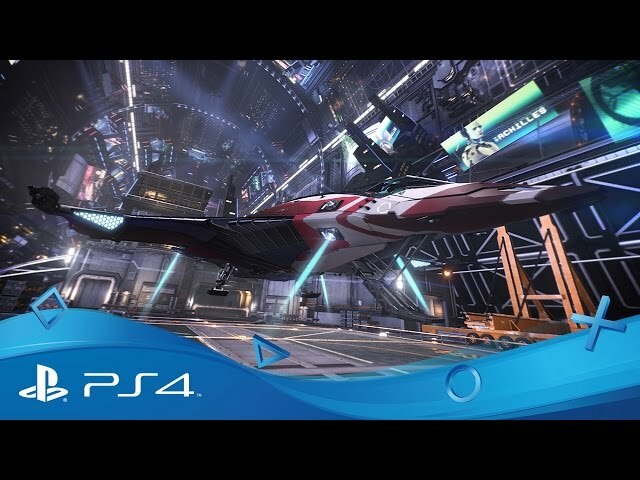 Elite: Dangerous is a space flight simulation video game by Frontier Developments PLC and Frontier Developments Ltd, developed by Frontier Developments PLC and Frontier Developments Ltd.
Elite: Dangerous - Announcement Trailer | PS4. Beginning in the year 3300 upon its release in 2014, Elite Dangerous has now run to the year and has been running in sync with UTC, albeit 1286 years in the future. The game is set around 45 years after Frontier: First Encounters, the previous game in the series. Elite Dangerous retains the basic premise of previous games - players start with a spaceship and a small amount of money and have to make their own way in an open galaxy, furthering themselves either legally or illegally, through trading, mining, bounty-hunting, piracy and assassination. The game is the first in the series to feature online multiplayer, with players having access to a massively multiplayer persistent world, as well as an online-only single player mode. Open Play gameplay is similar to EvE Online in that many actions which would be considered griefing in other multiplayer games are generally permitted here, so long as a valid roleplaying reason is attached. Examples include (but are not limited to) stealing from other players, extortion, and blocking off star systems via blockade or similar means. However, some actions, such as "mob mentality" persecution of players, exploiting mechanics of the game (such as quitting the game in the middle of a fight to avoid death), and cursing are still not allowed, and could eventually result in a ban from the main server. The player is able to explore the game's galaxy of some 400 billion star systems, complete with planets and moons that rotate and orbit in real-time, resulting in dynamic day/night cycles. Around 150,000 of the game's star systems are taken from real-world astronomical data, while the remainder are procedurally generated according to scientific models. Throughout the galaxy, the player is able to dock with space stations and outposts to trade goods, purchase new spacecraft, re-arm their ship, effect repairs and to seek or complete missions from text-based station "Mission boards". The player may also find cargo or encounter other ships while in flight by investigating 'Unidentified Signal Sources'. Although occurring in the year 3300 upon its release in 2014, Elite Dangerous is currently set in the year and has been running in sync with UTC +1286 years, around 45 years after Frontier: First Encounters, the previous game in the series. 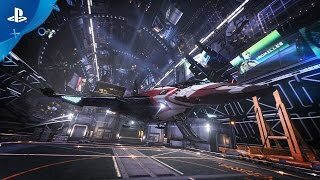 Elite Dangerous retains the basic premise of previous games - players start with a spaceship and a small amount of money and have to make their own way in an open galaxy, furthering themselves either legally or illegally, through trading, mining, bounty-hunting, piracy and assassination. 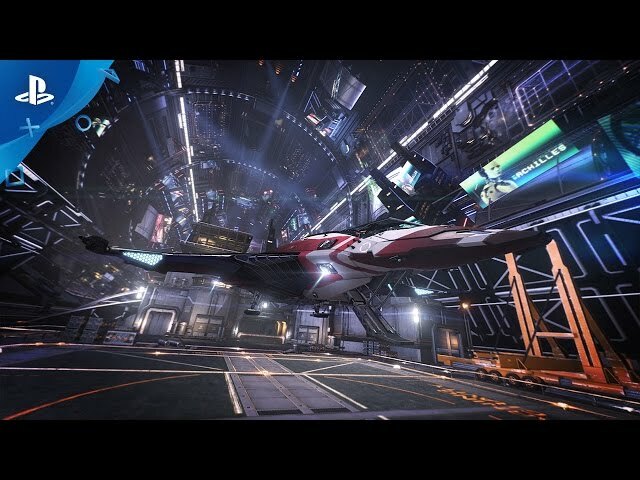 Elite: Dangerous was scheduled to be released by Frontier Developments PLC and Frontier Developments Ltd on December 16, 2014, on April 2, 2015, on October 6, 2015 and on June 27, 2017. This video game is available for the following platforms: Microsoft Windows, OS X, Xbox One, PlayStation 4.